Granted, we don't know exactly how much it costs, or if you really had any intention of owning property in Europe in any capacity. 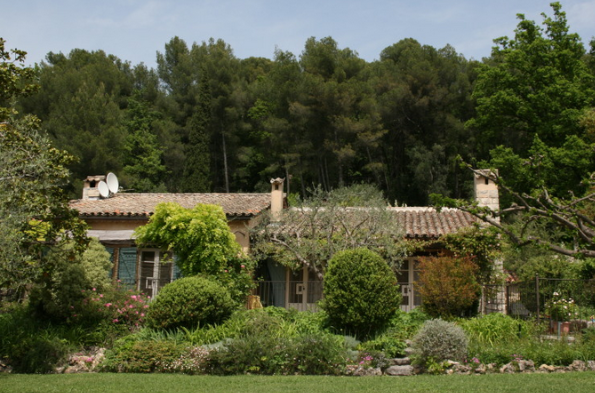 But who could say no to the opportunity to snap up La Pitchoune, the idyllic Provence cottage where Julia spent her vacations cooking and sipping wine? For the first time since it was built on a friend's property, Child's former French home is now on the market, the New York Times reports, after many years playing host to cooking classes since the chef bid adieu to the place back in 1992. One major selling point? The kitchen is essentially intact just as Julia left it, though the original stove was gifted several years back to food writer Patricia Wells. "You could almost say we’re selling the kitchen with the property thrown in,” Alexander Kraft, the chairman of Sotheby’s International Realty France, told the Times. “It’s really got the same look and feel as the one in the Smithsonian. Whoever buys it is really buying a true piece of Julia Child’s history." For the less industrious vacation home owner, there's also an in-ground pool in the back.